Journal of Machine to Machine Communications, Vol. 1, 83–104. 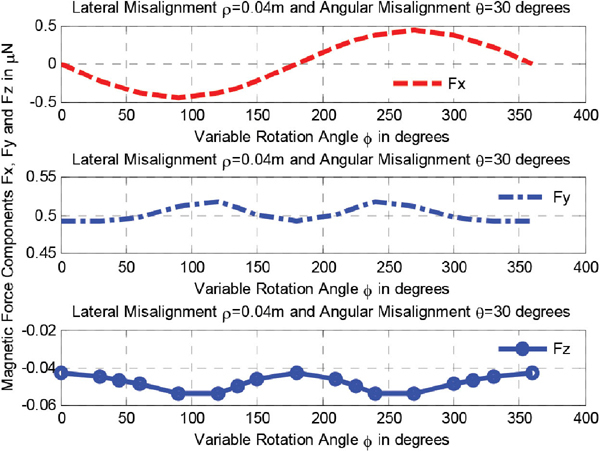 This paper analyses the impacts of lateral and angular misalignments on the mutual inductance and the magnetic force between circular filaments which are arbitrarily positioned in space. Advanced and relevant models available in the literature are used to accomplish the aim of this paper. 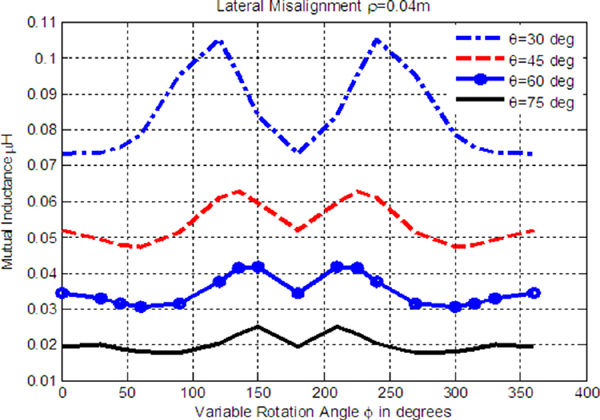 Using SCILAB application software, the results obtained based on the theoretical model show that as the coil misalignments increase the values of the mutual inductance and the magnetic force keep decreasing and increasing with respect to certain variable rotation angle at any point of the secondary coil. In order to further investigate the impact of coil separation distance and misalignments on the amount of voltage induced in the secondary coil, a model of air-cored transformer is constructed. The experimental results obtained show that the amount of the induced magnetic flux from the primary coil into the secondary coil becomes weaker if the coil separation distance and coil misalignments increase. As a result, a much smaller value of the mutual inductance is obtained resulting to a much smaller induced electromotive force in the secondary coil. In conclusion, this study shows that the full benefits of contactless inductive power transfer (CIPT) systems will not be realized if issues regarding coil separation distance and misalignments are not tackled in the model to be designed for the CIPT transformer. In order to reduce the amount of airborne pollution caused by the transportation system, many of the big automobile companies have been compelled to move from the manufacturing of internal combustion engine vehicles (ICEVs) to hybrid electric vehicles (HEVs), hydrogen fuel cell vehicles (HFCVs) and electric vehicles (EVs) . 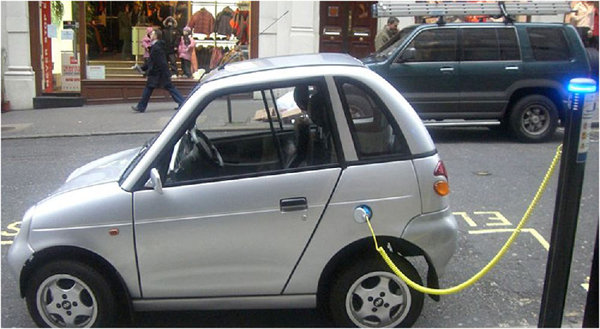 Considering high oil prices and environmental awareness, the development of EVs is considered as a healthier mode of transportation because the electricity they consume could be generated from a wide range of sources which include fossil fuel, nuclear power and renewable sources such as tidal power, solar power, wind power or any combination of those [1, 2]. Although EVs are considered as a favourable solution for a greener energy but, users and owners of EVs feel uncomfortable because EVs require sufficient battery storage onboard to provide sufficient driving autonomy. To overcome the issue of limited driving distance per charge, conventional wired system e.g. plug-in connectors have been commonly proposed for EV battery charging . Although plug-in connector is a simple and reliable solution however, it may result to safety risks (e.g. electrocution) in wet and damp conditions (see Figures 1 and 2), it is a source of inconvenience (see Fig. 2) and lastly, it only enables stationary charging which means that an EV has to be stationary during the duration of its charge replacement. Currently, contactless inductive power transfer (CIPT) system is used to overcome the problems of plug-in connectors. CIPT systems are a novel technology used for transferring electrical energy over a relatively large air-gap via high frequency magnetic fields . The potential advantages of CIPT systems over plug-in connectors include an increased driving range, immunity to dirt, dust, water, ice and chemicals, reduced cabling and risk of cable breakage, low maintenance requirement and the use of a high frequency (10 kHz – 150 kHz) magnetic fields which cannot cause electrocution. Wireless transfer of electrical power to the on-board battery storage system of EVs is accomplished through the major component of CIPT system which is the CIPT transformer (see Figures 3 and 4). Although CIPT transformer which consists of air-cored coils plays a major role in CIPT systems however, coil misalignments (e.g. lateral and angular) are their inherent problem. As a result, its full potential is limited because the value of the mutual inductance as well as the magnetic force exerted on the current carrying conductor depends on the relative position and orientations of the coils in the CIPT transformer . Air-cored coils are widely used in various electromagnetic applications. They are preferred to iron-cored type because of their design objectives of controllability and capability of a high power transfer . The authors of this paper consider the use of circular filaments amongst other air-cored coils since in several electromagnetic applications regarding coil misalignments, the optimal magnetic coupling between circular filamentary coils is required [6, 7]. Computations of the mutual inductance and the magnetic force between coaxial circular coils have been completely solved by the authors in [7–20]. However, the present-day focus has been shifted to the computation of the mutual inductance and the magnetic force between circular coils with lateral and angular misalignments [21–30]. Furthermore, these computations can be achieved correctly and speedily by using finite element and boundary element methods [31, 32]. Notwithstanding, the authors in [22, 24] argue that analytical and semi-analytical methods can be used to achieve this task since they significantly simplify the mathematical procedures which in turn leads to a considerable reduction of the computational effort. It is also concluded that the mathematical models formulated for the mutual inductance and the magnetic force between filamentary circular coils are slightly more general and simpler to use (i.e., easy to understand, numerically suitable and easily applicable for engineers and physicists). 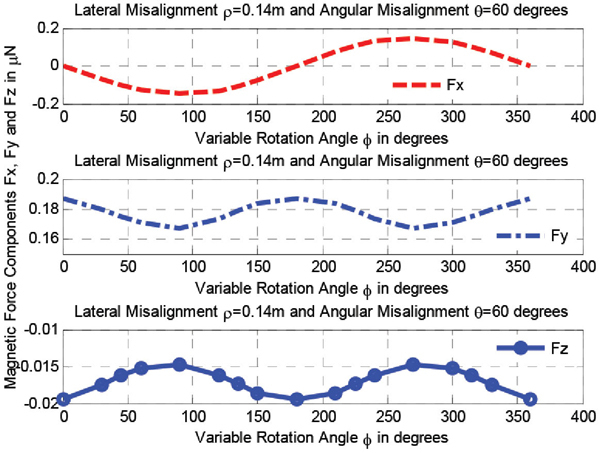 Based on this information, the authors of this paper analyse the impacts of lateral and angular misalignments on the mutual inductance and the magnetic force between circular filaments arbitrarily positioned in space based on the advanced and relevant models available in . This task is achieved as follows. Section 2 presents the advanced and relevant models which are obtainable in the literature. In section 3, the theoretical results obtained using SCILAB application software is given as well as its discussion. Section 4 presents the model constructed and its experimental results while section 5 concludes the paper. where μ0 is the magnetic permeability of space, RP is the radius of primary coil, RS is the adius of the secondary coil, α is the shape factor of the circular coil, (xC, yC and zC) is centre of the secondary coil, a, b and c are the parameters defining the secondary coil plane λ, k is a variable and not indices, K(k) and E(k) are the complete integral of the first and second kind respectively [33, 34]. Figure 5 Circular Filaments with arbitrary misalignments . where IP and IS are the primary and secondary currents in the coil, M is the mutual inductance given in (1) and g = x, y, or z are the xyz components. In order to investigate the impacts of coil misalignments between circular coils arbitrarily positioned in space, the authors of this paper re-stated equations (1) and (3) in terms of the geometric configurations and common notations for circular filaments with arbitrary lateral and angular as given in . Shown in Figures 6–13 are the results obtained using SCILAB application software  and the data used is shown in Table 1. 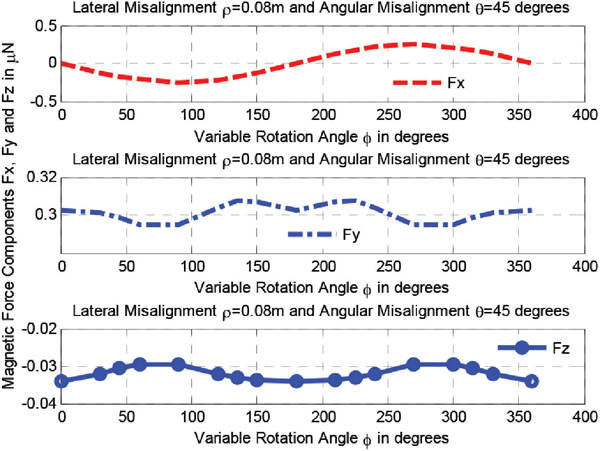 The results obtained in Figures 6–13 show the impacts of lateral and angular misalignments on the mutual inductance and the magnetic force between circular filaments arbitrarily positioned in space. These results are obtained by plotting the mutual inductance and the magnetic force against the variable rotation angle at any point of the secondary coil. 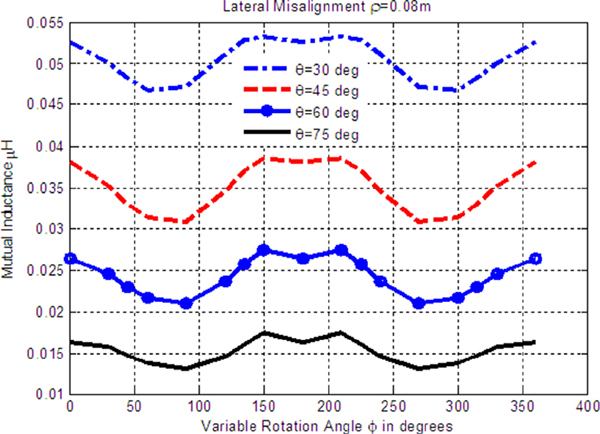 Based on the data given in Table 1, it is clearly seen that the values of the mutual inductance (see Figures 6–9) and the magnetic force components (see Figures 10–13) keep decreasing and increasing at certain variable rotation angle. The primary and secondary coils of transformers possess mutual inductance when they are magnetically linked together by a common magnetic flux. Hence, mutual inductance is an important operating property of transformers. 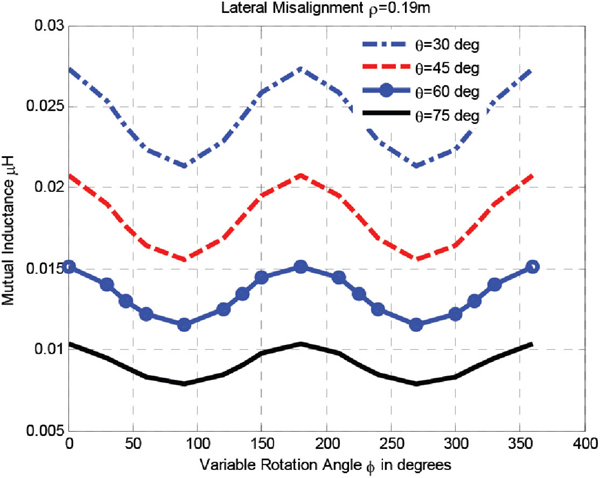 Notwithstanding, its amount depends very much on the coil separation distance as well as lateral and angular misalignments. This implies that the amount of induced magnetic flux from the primary coil into the secondary coil is weaker if the coil separation distance and coil misalignments increase. As a result, a much smaller value of the mutual inductance is obtained resulting to a much smaller induced electromotive force (emf) in the secondary coil. Based on this information, in order to further investigate the impact of coil separation distance as well as coil misalignments, a model of air-cored transformer which consists of rectangular coils is constructed. 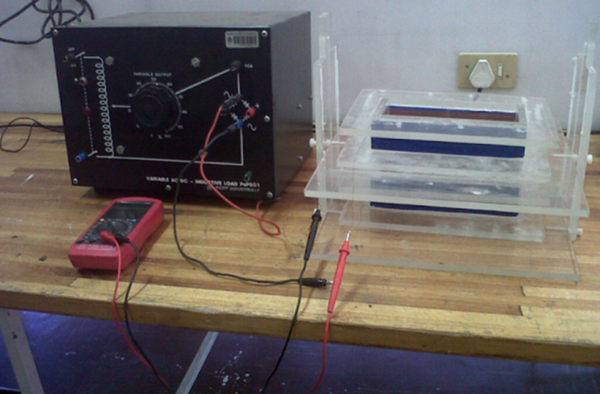 Shown in Figures 14–16 is the prototype set up which consists of variable AC/DC power supply, multi-meter and the coreless transformer. The primary and the secondary air-cored rectangular coils are of the same dimension and number of turns. In order to determine the amount of electromotive force (which is expressed in volts) induced in the secondary coil, ac voltage of one volt is supplied to the primary coil of the coreless transformer at different coil separation distance and misalignments. Shown in Tables 2–4 are the experimental results obtained for the air-cored transformer which consists of rectangular coils. The experimental measurements show that as the coil separation distance as well as the lateral and angular misalignments increase the amount of the induced magnetic flux from the primary coil into the secondary coil becomes weaker. As a result, a much smaller value of the mutual inductance is obtained resulting to a much smaller induced emf (which is expressed in volts) in the secondary coil. 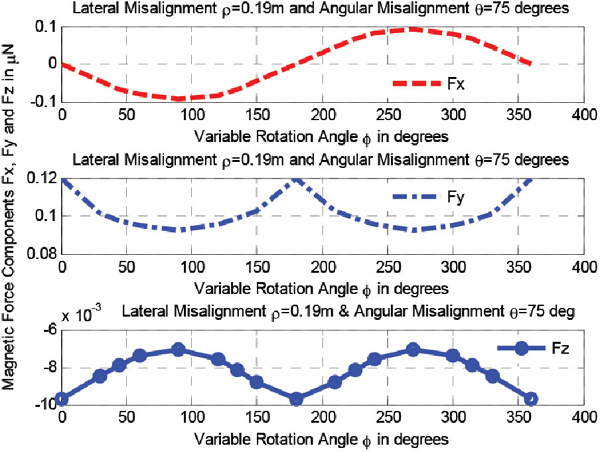 The authors of this paper analyse the impacts of lateral and angular misalignments on the mutual inductance and the magnetic force between circular filaments which are arbitrarily positioned in space. Advanced and relevant models available in the literature are used to achieve the theoretical results obtained in Figures 6–13. The simulations obtained show that as the coil misalignments increase the values of the mutual inductance and the magnetic force keep decreasing and increasing with respect to certain variable rotation angle at any point of the secondary coil. In order to further investigate the impact of coil separation distance as well as lateral and angular misalignments on the amount of voltage induced in the secondary coil, a model of air-cored transformer which consists of rectangular coils is constructed. The experimental results obtained show that the amount of the induced magnetic flux from the primary coil into the secondary coil becomes weaker if the coil separation distance and coil misalignments increase. As a result, a much smaller value of the mutual inductance is obtained resulting to a much smaller induced electromotive force in the secondary coil. In conclusion, this study shows that the full benefits of contactless inductive power transfer (CIPT) systems will not be realized if issues regarding coil separation distance and misalignments are not tackled in the model to be designed for the CIPT transformer. 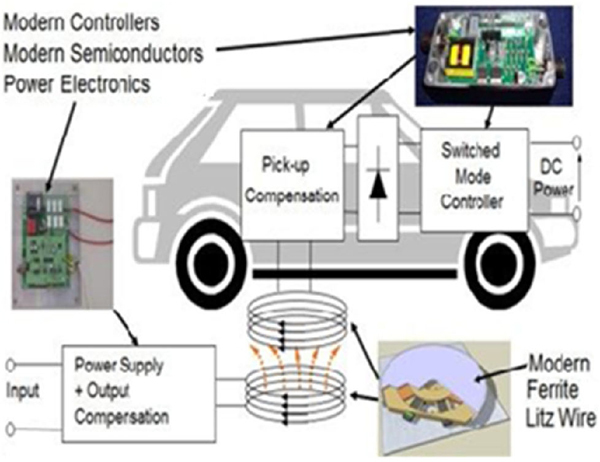 H. H. Wu, A. Gilchrist, K. Sealy, P. Israelsen, and J. Muhs, “A review on inductive charging for electric vehicles,” in Electric Machines & Drives Conference (IEMDC), (2011) IEEE International, pp. 143–147 (2011). J. Meins, G.Bühler, R. Czainski, and F. Turki, “Contactless inductive power supply,” Download this and any more recent reports using Google, (2006). C.-S. Wang, O. H. Stielau, and G. A. Covic, “Design considerations for a contactless electric vehicle battery charger,” Industrial Electronics, IEEE Transactions on, vol. 52, pp. 1308–1314 (2005). 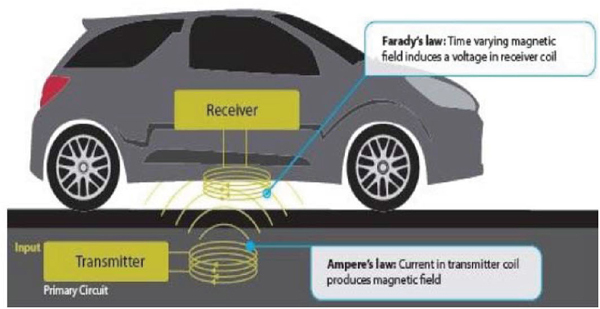 K. Fotopoulou and B. W. Flynn, “Wireless power transfer in loosely coupled links: Coil misalignment model,” Magnetics, IEEE Transactions on, vol. 47, pp. 416–430 (2011). C. S. Wang, O. H. Stielau, and G. A. Covic, “Load models and their application in the design of loosely coupled inductive power transfer systems,” in Power System Technology, 2000. Proceedings. PowerCon 2000. International Conference on, pp. 1053–1058 (2000). J. Acero, C. Carretero, I. Lope, R. Alonso, O. Lucia, and J. M. Burdio, “Analysis of the Mutual Inductance of Planar-Lumped Inductive Power Transfer Systems,” Industrial Electronics, IEEE Transactions on, vol. 60, pp. 410–420 (2013). S. Babic and C. Akyel, “New mutual inductance calculation of the magnetically coupled coils: Thin disk coil-thin wall solenoid,” Journal of Electromagnetic Waves and Applications, vol. 20, pp. 1281–1290 (2006). S. Babic, F. Sirois, C. Akyel, G. Lemarquand, V. Lemarquand, and R. Ravaud, “New formulas for mutual inductance and axial magnetic force between a thin wall solenoid and a thick circular coil of rectangular cross-section,” Magnetics, IEEE Transactions on, vol. 47, pp. 2034–2044 (2011). S. I. Babic and C. Akyel, “Magnetic force calculation between thin coaxial circular coils in air,” Magnetics, IEEE Transactions on, vol. 44, pp. 445–452 (2008). S. Butterworth, “LIII. On the coefficients of mutual induction of eccentric coils,” The London, Edinburgh, and Dublin Philosophical Magazine and Journal of Science, vol. 31, pp. 443–454 (1916). C. Christodoulides, “Comparison of the Ampere and Biot-Savart magnetostatic force laws in their line-current-element forms,” American Journal of Physics, vol. 56, pp. 357–362 (1988). H. B. Dwight, Electrical coils and conductors: McGraw-Hill, (1945). F. W. Grover, “The calculation of the mutual inductance of circular filaments in any desired positions,” Proceedings of the IRE, vol. 32, pp. 620–629 (1944). F. W. Grover, “Inductance calculations,” vol. chs. 2 and 13 (1964). P. Kalantarov and L. Teitlin, “Inductance Calculations,” Bucharest: Tehnica.–1958 (1955). J. C. Maxwell, A treatise on electricity and magnetism vol. 1: Clarendon Press, (1881). R. Ravaud, G. Lemarquand, S. Babic, V. Lemarquand, and C. Akyel, “Cylindrical magnets and coils: Fields, forces, and inductances,” Magnetics, IEEE Transactions on, vol. 46, pp. 3585–3590 (2010). R. Ravaud, G. Lemarquand, V. Lemarquand, S. Babic, and C. Akyel, “Mutual inductance and force exerted between thick coils,” Progress In Electromagnetics Research, vol. 102, pp. 367–380 (2010). A. Shiri and A. Shoulaie, “A new methodology for magnetic force calculations between planar spiral coils,” Progress In Electromagnetics Research, vol. 95, pp. 39–57 (2009). C. Snow, Formulas for computing capacitance and inductance vol. 544: US Govt. Print. Off., (1954). C. Akyel, S. I. Babic, and M. M. Mahmoudi, “Mutual inductance calculation for non-coaxial circular air coils with parallel axes,” Progress In Electromagnetics Research, vol. 91, pp. 287–301 (2009). S. Babic and C. Akyel, “Magnetic force between inclined filaments placed in any desired position,” IEEE Trans. Magn., vol. 48, pp. 69–80 (2012). S. Babic and C. Akyel, “Magnetic Force Between Inclined Circular Loops (Lorentz Approach),” Progress In Electromagnetics Research B, vol. 38, pp. 333–349 (2012). 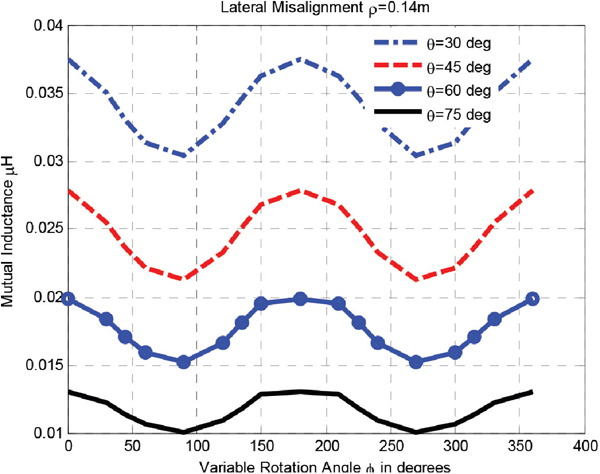 S. Babic, F. Sirois, C. Akyel, and C. Girardi, “Mutual inductance calculation between circular filaments arbitrarily positioned in space: alternative to grover's formula,” Magnetics, IEEE Transactions on, vol. 46, pp. 3591–3600 (2010). S. I. Babic, C. Akyel, and M. M. Mahmoudi, “Mutual Inductance Calculation between Circular Coils with Lateral and Angular Misalignment,” Session 3AP, p. 156 (2009). S. I. Babic, C. Akyel, Y. Ren, and W. Chen,“Magnetic force calculation between circular coils of rectangular cross section with parallel axes for superconducting magnet,” Progress In Electromagnetics Research B, vol. 37, pp. 275–288 (2012). 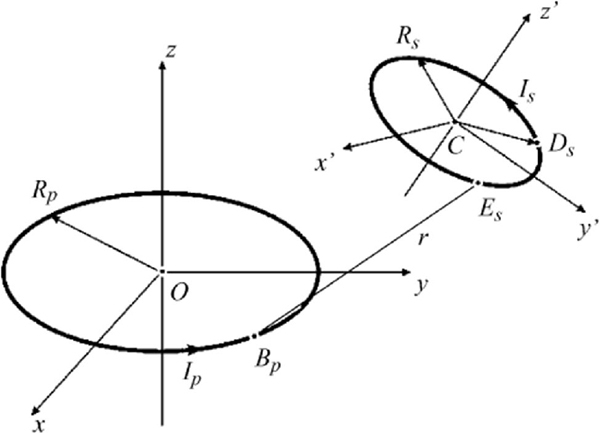 J. Conway, “Forces between thin coils with parallel axes using bessel functions,” Private Communication, Jun, (2011). J. T. Conway, “Noncoaxial inductance calculations without the vector potential for axisymmetric coils and planar coils,” Magnetics, IEEE Transactions on, vol. 44, pp. 453–462 (2008). J. T. Conway, “Inductance calculations for circular coils of rectangular cross section and parallel axes using Bessel and Struve functions,” Magnetics, IEEE Transactions on, vol. 46, pp. 75–81 (2010). Y. Ren, “Magnetic force calculation between misaligned coils for a superconducting magnet,” Applied Superconductivity, IEEE Transactions on, vol. 20, pp. 2350–2353 (2010). A. Benhama, A. Williamson, and A. Reece, “Force and torque computation from 2-D and 3-D finite element field solutions,” in Electric Power Applications, IEE Proceedings-, pp. 25–31 (1999). J. Coulomb and G. Meunier, “Finite element implementation of virtual work principle for magnetic or electric force and torque computation,” Magnetics, IEEE Transactions on, vol. 20, pp. 1894–1896 (1984). M. Abramowitz and I. A. Stegun, Handbook of mathematical functions: with formulas, graphs, and mathematicaltables vol. 55: Dover publications, (1965). I. S. Gradshtein, I. M. Ryzhik, A. Jeffrey, and D. Zwillinger, Table of integrals, series, and products: Academic press, (2007). S. L. Campbell, J.-P. Chancelier, and R. Nikoukhah, Modeling and Simulation in SCILAB: Springer (2010). Anele Amos Onyedikachi received his B.Eng (Hons) degree from the University of Ilorin (UNILORIN) in 2007. He obtained a double-master degree “MTech” and “MSc” in 2012 from the Tshwane University of Technology (TUT), South Africa and the Ecole Superieure d'Ingenieur en Electronique et Electrotechnique (ESIEE), France respectively. He is currently a PhD student with TUT and the Universite de Versailles St-Quentin-en-Yvelines (UVSQ) in France. He has authored 7 peer-reviewed research papers at international conferences. He is a student member of the IEEE. 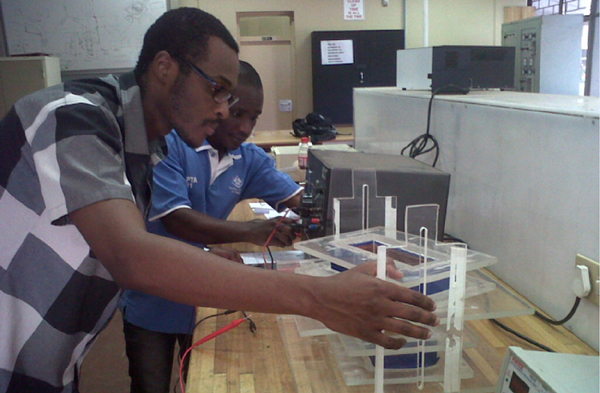 His research interest is in the field of sustainable engineering, energy and environment. Yskandar Hamam graduated as a Bachelor of the American University of Beirut (AUB) in 1966. He obtained his M.Sc. in 1970 and Ph.D. in 1972 from the University of Manchester Institute of Science and Technology. He also obtained his “Diplôme d'Habilitation à Diriger des Recherches” (equivalent to D.Sc.) from the « Université des Sciences et Technologies de Lille » in 1998. He conducted research activities and lectured in England, Brazil, Lebanon, Belgium and France. He was the head of the Control department and dean of faculty at ESIEE, France. He was an active member in modelling and simulation societies and was the president of EUROSIM. He was the Scientific Director of the French South African Institute of Technology (F'SATI) at TUT in South Africa from 2007 to 2012. 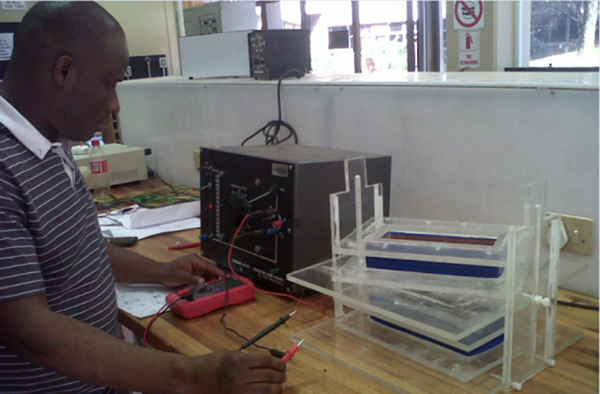 He is currently professor at the Department of Electrical Engineering of TUT. He has authored/co-authored about 300 papers in archival journals and conference proceedings as well as book contributions. He is senior member of the IEEE. Yasser Alayli received his PhD in applied physics from Pierre and Marie Curie University of Paris, France in 1978. He is professor in the field of engineering sciences and optronics at Versailles University, France. He was director of LISV, UVSQ, Paris from 2008 to March, 2013. 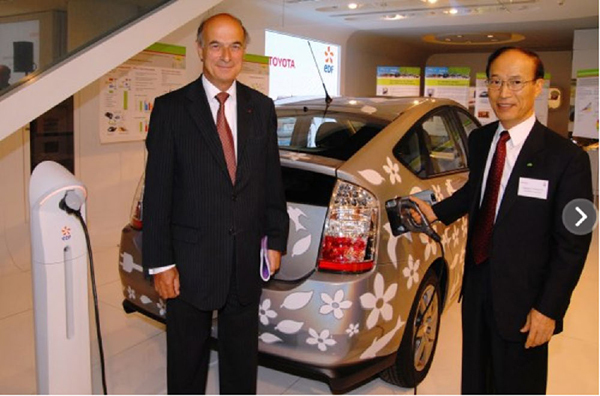 He is currently the coordinator of a European project “Mobility Motivator” and the head of Move'oTreve “Charging of Electric Vehicles by Magnetic Induction” project. His research interests include precision engineering domain with sub-nanometric accuracy, optical sensors and nanotechnologies. Karim Djouani is professor, scientist and technical group supervisor of soft computing, telecommunication, networking systems and Robotics. Since January 2011 he is Full professor at University Paris Est-Creteil (UPEC), France and Tshwane University of Technology, Pretoria, South Africa. ?From July 2008 to December 2010, he was seconded by the French Ministry of Higher Education to the French South African Institute of Technology (F'SATI) at Tshwane University of Technology (TUT), Pretoria, South Africa. Till July he is also with the SCTIC team of the LISSI lab, University Paris Est. He was also national and European projects manager at the LISSI Lab. ?His current works focus on the development of novel and highly e?cient algorithms for reasoning systems with uncertainty as well as optimization, for distributed systems, networked control systems, wireless ad-hoc network, wireless and mobile communication, and wireless sensors networks as well as Robotics. He has authored/co-authored over 150 articles in archival journals and conference proceedings as well as ?ve chapters in edited books. ?Prof. Djouani is a Member of IEEE communication and computer societies, Exystenze (European Center of Excellence in Complexity) and several National Research task Group (GDR-MACS, GDR-ISIS).